Ayanna Pressley delivers her victory speech at the IBEW Local 103 in Dorchester, on September 4. The future of politics in Massachusetts is female. I’ve thought that for a while, but Ayanna Pressley put an exclamation point on that sentence Tuesday night. 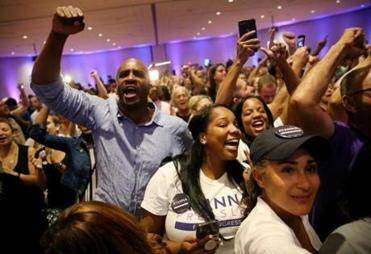 Her landslide victory was also a message from the new guard in Massachusetts politics: Change can’t wait. You’ll recognize that as Pressley’s campaign slogan, but it also should be the rallying cry of an entire movement, led by a formidable troika of Pressley, Maura Healey, and Michelle Wu. They are the epitome of impatient women, and Massachusetts politics will never be the same. Pressley dared to unseat a fellow Democrat, 20-year incumbent US Representative Mike Capuano, arguing that representation matters in politics, not just ideology. 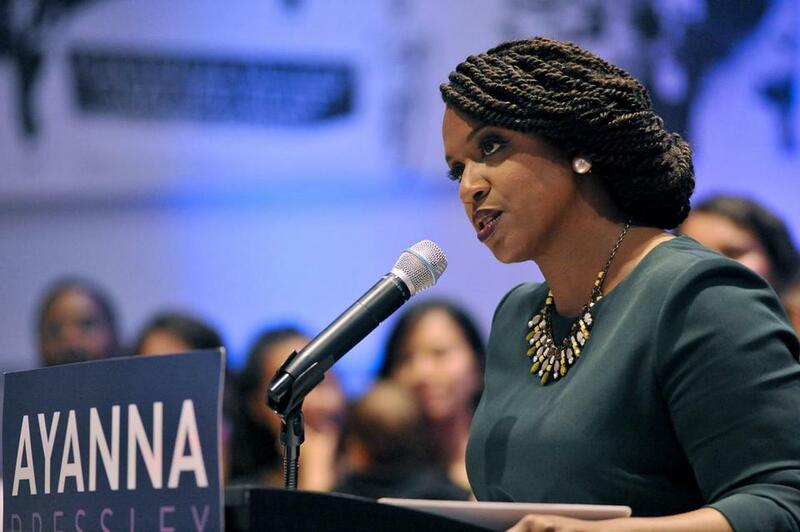 Now she is on a path to become the first woman of color from Massachusetts to serve in Congress. Healey, in 2014, bucked the establishment candidate, Warren Tolman (remember, him? ), when she ran for state attorney general. Like Pressley, Healey trounced her opponent on her way to becoming the nation’s first openly gay AG. Wu made history when she became the first Asian-American woman elected to the Boston City Council in 2013, and again three years later when she seized on the opportunity to become council president, the first woman of color in that post. While the stalwarts of the Democratic Party backed Capuano, Healey and Wu stood their ground with Pressley, bringing not only their clout but a constellation of supporters and donors. The lesson here: When women support women, we get it done. Up next: Shattering the glass ceilings to make room for the first female mayor of Boston and the first woman elected governor. But let us not forget the biggest queenmaker of all: Barbara Lee, the Cambridge philanthropist who has bankrolled female candidates for two decades, including early support for Pressley, Healey, and Wu. Lee had wanted Pressley to run for higher office, and after the Women’s March, in January 2017, Lee saw the possibility, based on the energy coming from the nationwide demonstration organized in response to the misogyny on display during the 2016 presidential race. That’s because Lee, like many others, sensed the march was not a moment but rather a movement, calling on women everywhere to run for office, vote, and change politics as we know it.